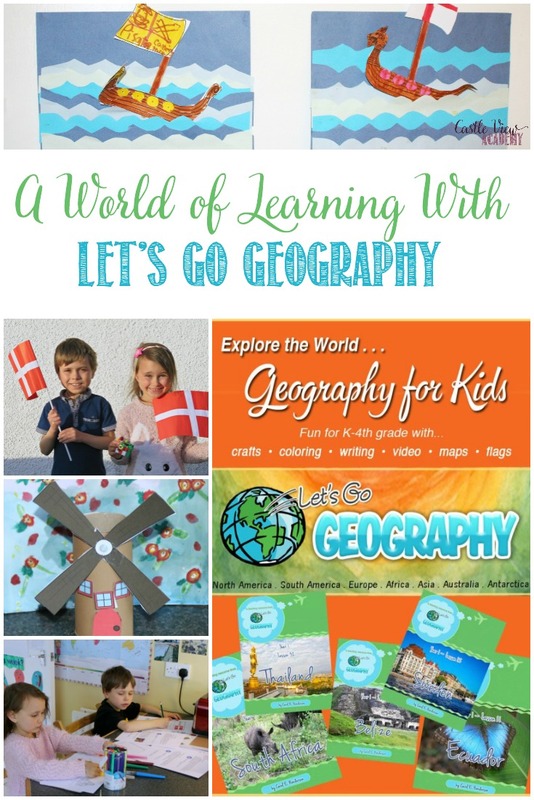 I’ve really been enjoying the way my children have been learning about the world this past year, and their newest favourite resource is Let’s Go Geography, which we’re reviewing for you today. They’ve been using this homeschool geography curriculum for the past five weeks and it’s brought so many things together for them. The USA is broken up by region and each year looks at two regions, then each year you will learn about various countries across the continents. 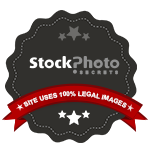 Each week (or all at once) you can download the country you will be studying in a PDF. 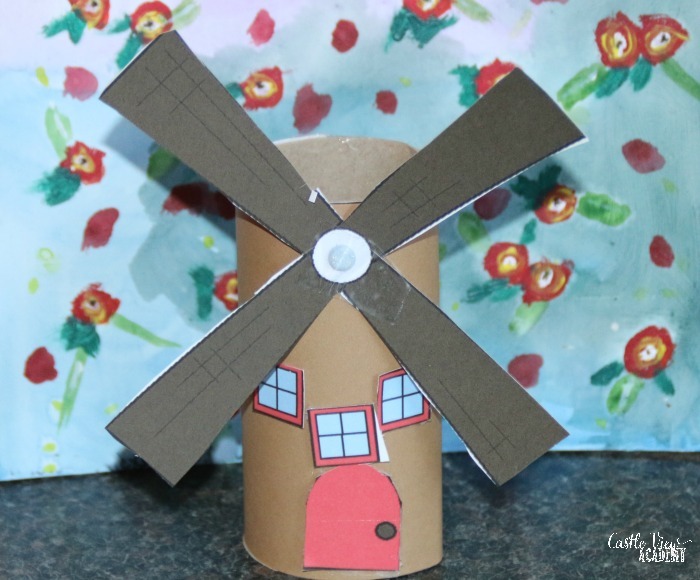 Within this PDF there is a checklist of what you’ll do, photos to view, links to videos, as well as information about the country, notebooking sheets, and crafts. There’s a passport available to purchase in which you can place flags as you go. Although I love this idea, we’ve decided not to take this route as the passports are for the USA, and as we are not citizens of the States it would feel a little strange for us. Perhaps the option of a generic or name your own citizenship passport might be an idea for a future option. 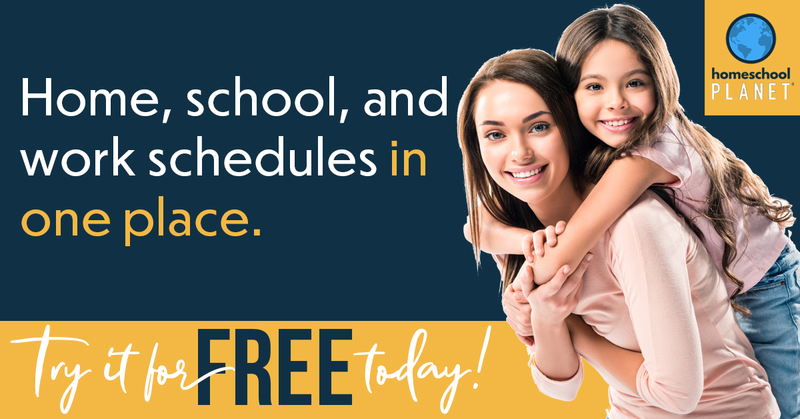 The curriculum was originally intended to be used in order, (and you can sign up to receive an email reminder each week about the upcoming unit), but it can also be used in any order quite well. And this is what we have done. I’m sure you’ve heard me say a few times recently how things are just coming together this year, and this is another one of those things. My children have been loving learning about Vikings, so after initially starting with my homeland of Canada, we skipped ahead to Scandinavia. I spent 3 weeks travelling through Scandi back in 2000, so I was also interested to see what the children would learn. Let’s take Norway, for example; there’s a map of Scandinavia to print off, and each country will be coloured a different colour as it’s learned, and a flag will be placed around the map. There is a link to listen to the national anthem, explanations about fjords, general information about the country, including virtual tours of Oslo, Atlantic Ocean Road, and Trolltunga Fjord. There are photographs of Norway’s countryside, and a page to colour. The craft for Norway was a picture of a Viking boat on the ocean, which my children had fun putting together. After my children had read all the information and watched the videos, they looked up a little more information in a couple of books we have at home, and read a little more when we were at the library, too. The call numbers for each country are provided; but as our library uses the Dewey Decimal system it wasn’t as handy for us, but our library is small and the kids know where to find things. Then the kids each wrote down some of the things they learned and found interesting about Norway. 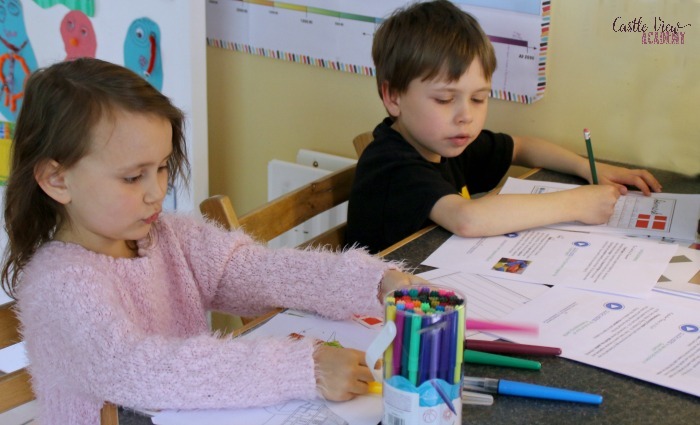 Norway also included a task for older children to learn about the Gulf Stream and how it affects weather patterns. This was timely as Hurricane Irma was approaching Cuba when the children were doing this study; another way things have come together for them! Although I still need to go up into the attic to bring down my photos from my Scandi trip for the kids to see, I did find a few postcards and some currency from Norway, Finland, Sweden, and Denmark for them to look at. This was really exciting for them (and I was able to reminisce). We didn’t do official continent boxes when the kids were of preschool age, but we’re going to start that now when they’re able to better understand what’s inside. The information says that each lesson takes about an hour. The time to go through to read, watch, and listen probably does take about that long, or a little less, but by the time my children write down what they’ve learned, colour the picture, and do the craft, it takes somewhat longer; maybe 2 or 3 hours; or it could be that my children don’t colour as quickly. You could break down the lessons into smaller pieces to do a little each day. We usually do most of it the first day, then the colouring the next day if time has run short, and usually the craft is done on a day on its own. And I take their advice about whether they’re up for colouring or the craft on any lesson. They love crafts, but sometimes there are other things going on that week, and that’s okay, too. 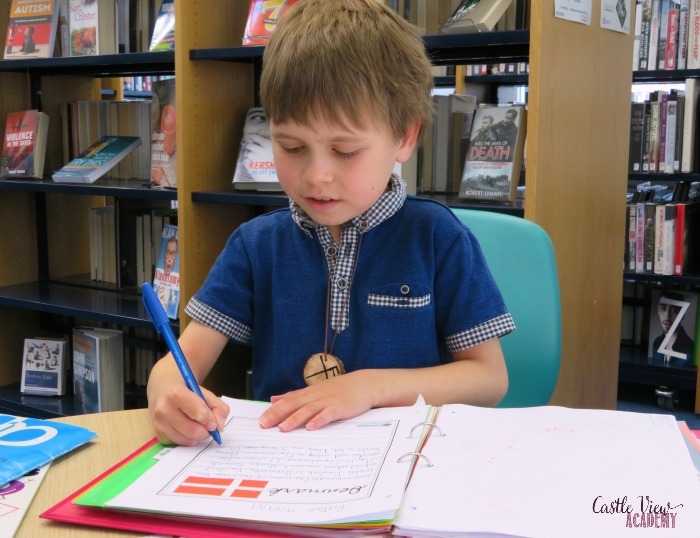 And because of their current fascination about Vikings, we’re spending a longer time on the Scandinavian countries, and as we are homeschooling that’s perfectly fine for us! We’ve ordered some additional materials for this unit as it’s always good to strike while the iron’s hot and the kids are enthusiastic! I can hardly say no, can I? There is someone from Denmark in our town so I reached out to her and today we all met up and she told the children all about her homeland and answered the dozens of questions Tristan and Kallista had been accumulating to ask her. 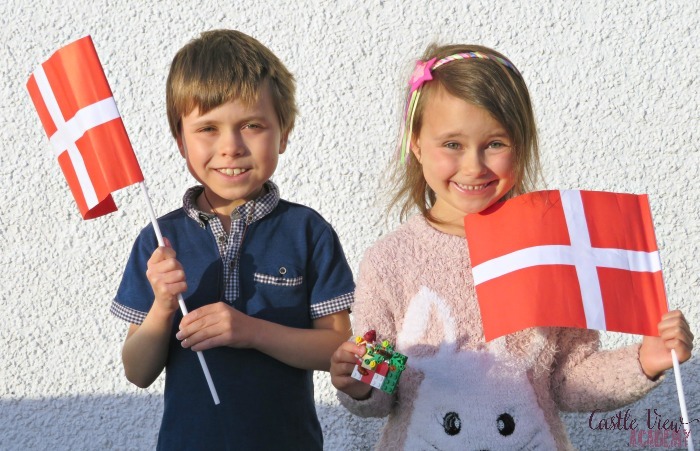 She was so wonderful and even surprised the children with flags and Lego, which of course was created in Denmark! My children were able to put the information they’d learned and go deeper into it and learn more from someone who is in the know. It helps make the world a smaller place, and geography and history come alive. Fabulous! After Scandinavia, we’ll move on to Asia and continue using some of the books and resources we have here at home before moving on to locations that are more unfamiliar to the children. You can see Tristan below completing an additional page after his interview and using the book format that is provided for you. We’ll be sharing more of this book next year as we’re using it as the base for combining a few projects we have on the go. About every 9 lessons there’s a break scheduled in, which is nice. And every 12 weeks there are review weeks included. These review sessions also add extra learning about things such as learning about longitude and latitude. If you don’t follow the lessons in order, the review weeks may have to be adjusted as they build upon each other whereas the lessons themselves can generally be used as stand-alone lessons. The lessons in this program aren’t too taxing and can be adjusted easily depending upon the abilities of the students. Some may only watch the videos and have someone read the information to them then colour a picture. Others may do all of this themselves then go on and watch other videos or documentaries, do some internet or book research and write more formal reports. We’re doing a mix of all of these things, depending on the country, and I like this flexibility…and I’m wishing I knew more foreigners as the children said they have had the best day ever after their interview! I think we’ll have to purchase this program in the future so the children can continue to learn about the world and some of our favourite places are in the years to come. After all, you can’t have everything in one year; that would be too much fun! 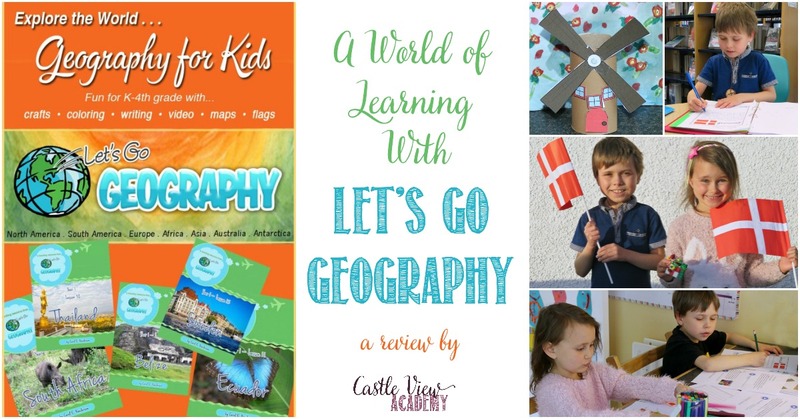 To read more reviews about Let’s Go Geography by the Homeschool Review Crew, click on the graphic below and follow the instructions. You will find 85 honest reviews by the Crew. 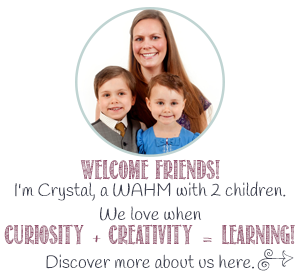 If you’d like to know more or would like to follow Let’s Go Geography, you can connect with them through their website, Facebook, and Pinterest.